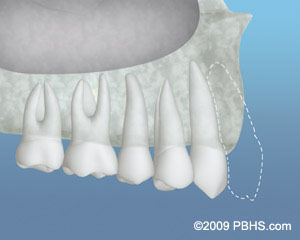 After tooth extraction, the tooth socket will usually fill naturally with bone in two to three months. However, without bone grafting the height and width of the bony socket will decrease. This loss of bone ridge volume after tooth extraction can be quite dramatic, with up to 50% of the volume lost within six months. Bone graft is most often placed at the time of tooth extraction to help your body fill in the empty socket with bone, in a procedure known as socket preservation. 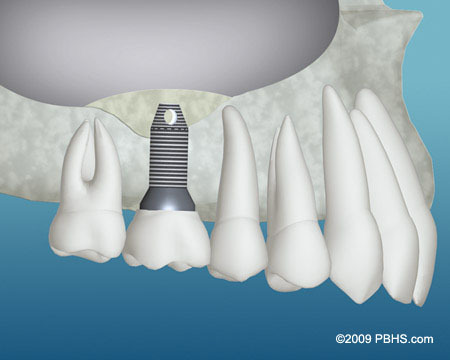 This will maintain the width and volume of bone you will need for implant placement. Even when circumstances allow immediate implant placement at the time of tooth extraction the gap between the implant body and the bony socket walls will be filled with bone graft to maintain the height and width of bone after healing. This will help maintain a more natural profile of gum in the area for easier access for cleaning, better coverage of bone over the implant for long-term success, as well as improved cosmetic appearance. 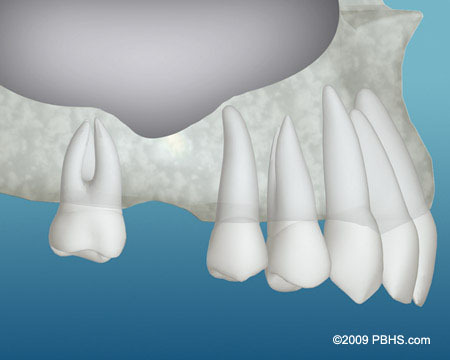 There may be inadequate bone for implant placement if your tooth was removed without socket preservation grafting. This is especially true if the tooth/teeth were removed many years ago. This often causes your bony ridge to be extremely thin and/or short. In this case, a bone graft can be placed over the bone and allowed to heal, depending on the specifics, for up to six months. This procedure is known as Ridge Augmentation. After the graft has fused to your pre-existing bone, the area can be re-entered and implant(s) placed. Ridge augmentation bone grafting is an in-office procedure. Many different bone-grafting materials are available, including your own bone, though most often we will spare you the discomfort and increased risks of harvesting your own bone, which usually requires a second surgical site. Ridge augmentation bone grafting also requires use of so-called barrier membranes to isolate the graft material and allow the slower bone healing to take place without the faster healing gum tissue growing in instead. The use of barrier membranes with bone grafting is known as Guided Bone Regeneration. You may also need bone grafting if the sinus cavities in your upper jaw are very large, or very low, and extend into the tooth-bearing areas. This often occurs when teeth in the back of a person’s upper jaw have been removed without socket preservation bone grafting. Teeth lost from advanced periodontal disease may also have limited bone available under the sinus cavities. A sinus graft procedure is then required. This is also commonly referred to as a sinus lift. Most often, it is performed, in the office, with local anesthesia and perhaps sedation. During this procedure, the membrane that lines the sinus will be located and elevated. Bone graft material will then be added to restore the bone height and ensure that dental implants of an adequate length can be placed. Not infrequently, sinus grafting and ridge augmentation are done as a single procedure, when indicated. This procedure often can be performed at the time of implant placement if there is sufficient remaining bone to anchor the implants during healing. Another technique for managing inadequate bone under the sinus cavity in your posterior maxilla is known as Osteotome Sinus Lift, or Internal Sinus Lift. This is usually used for one or two teeth where there is some remaining bone under the sinus floor, but not quite enough. This can be done in a staged manner, perhaps first when a tooth is extracted, but most often as part of the implant placement procedure. 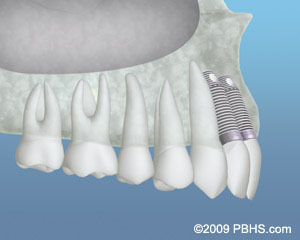 The bone at the top of the implant site is retained and instruments are inserted to “push up” the sinus floor. Most often, bone graft material will be inserted ahead of this instrument to cushion the sinus floor and enhance the growth of bone.